Alex (Alex Wolff), Fridge (Ser’Darius Blain), Bethany (Madison Iseman) and Martha (Morgan Turner) are all sent to detention and have to clean up the school’s storage room. There they stumble on an old console with the game Jumanji. They decide to play and as each of them choses their character, they get sucked into the video game. And the only way out is through. I didn’t expect much of a sequel to Jumanji, one of my childhood favorites. But I was pleasantly surprised by the film: it is genuinely funny and extremely entertaining. It’s time to find new recruits for the lifeguards of Emerald Bay, the Baywatch. Overseen by Mitch Buchannon (Dwayne Johnson), the recruits prepare for a tough competition. All but Matt Brody (Zac Efron) that is, who finds that he shouldn’t have to prove himself at all since he’s an Olympic swimmer and Baywatch would be lucky to have him. But when a new drug hits the Bay, Mitch and Matt take it upon themselves despite their personal differences to clean up their bay and bring those responsible to justice. I expected Baywatch to be stupid, sexist and childish, but with charm machine Dwayne Johnson at the helm, I thought it would still entertain regardless. But while the first part of my expectations came true – it is stupid, sexist and childish – the latter part unfortunately fell flat. The script is so bad, not even Johnson can save it. Things should be calm around the Family. Dom (Vin Diesel) and Lettie (Michelle Rodriguez) are on their honeymoon, everybody else has been cleared of all criminal charges and normality is just around the corner. That’s when Dom is contacted by Cipher (Charlize Theron). And she knows everything about him and his past and she’s not afraid to use it to force Dom back into a life of crime. The rest of the Family can’t understand is betrayal and the rift that runs through the group forces them to forge new and unexpected alliances. 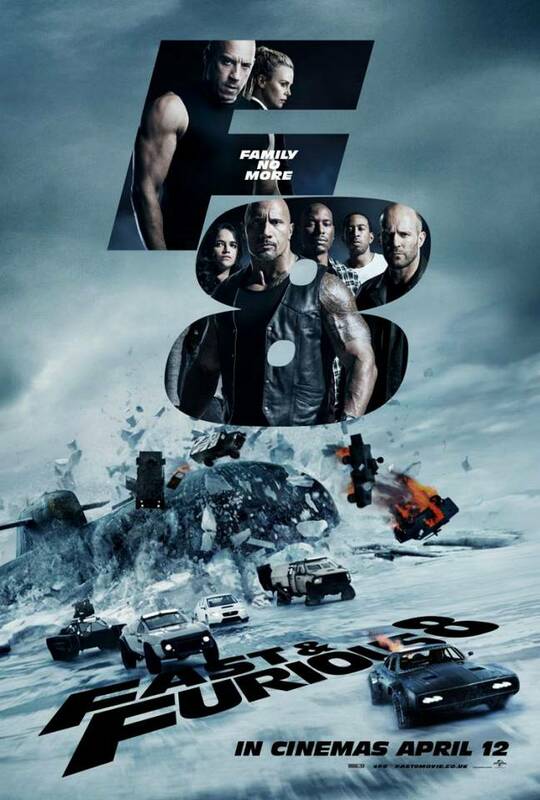 The Fate of the Furious is not the strongest film of the series, but it’s by far not the weakest. I had fun watching it, despite a couple of lengths that managed to steal into the film here and there. Moana (Auli’i Cravalho) has always been happy on her island, but curious about the sea that surrounds it as well. But nobody on her island really ventures out to sea. But then an ancient curse starts to affect their island, a curse set into motion by the demi-god Maui (Dwayne Johnson). Moana knows that she has to do something about it: she has to find Maui and make sure that he makes things right. And that means leaving the island. 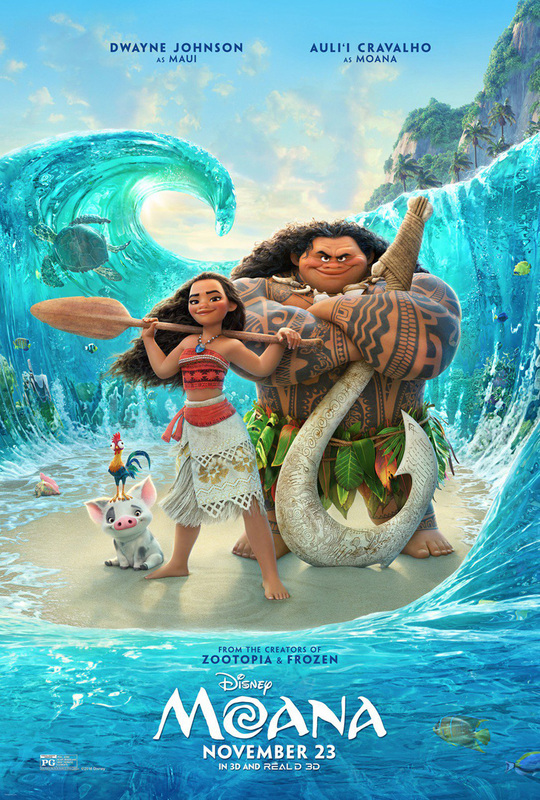 Moana is a beautifully animated film with absolutely fantastic movie. There are some issues but I was able to really fall into the film regardless. When he was in high school, Calvin (Kevin Hart) was the star for everyone, but still with enough kindness in his heart to not bully the fat Bob (Dwayne Johnson) like everybody else did. But high school is long since over and Calvin may still have his smart and beautiful girlfriend Maggie (Danielle Nicolet) but otherwise he is stuck in a total rut and dreading the upcoming school reunion. That’s when he gets a call from Bob and decides, on a whim, to meet with him. On the surface Bob is much changed: he is still huge, but from muscles and there doesn’t seem to be the tiniest bit of fat on his body. He is still weird, though, and his obvious excitement to see Calvin again is flattering, but strange. And then things get worse: turns out, Bob works for the CIA and he’s in trouble – and Calvin is quickly more involved than he ever wanted to be. 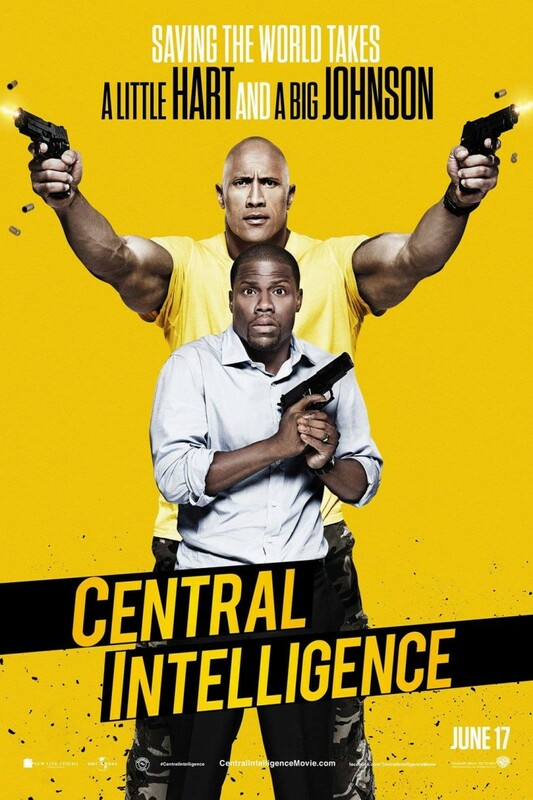 I was very hesitant about wanting to see Central Intelligence. Its humor really didn’t seem up my alley. But then again I think Dwayne Johnson is funny as hell, so I had hopes that he would make the film work for me. And while the film is far from being my favorite, that is mostly what happened. 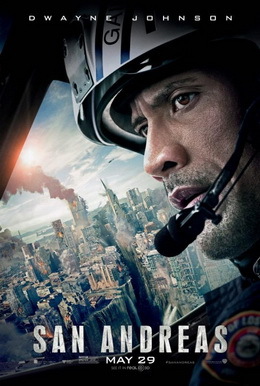 Ray (Dwayne Johnson) is a rescue helicopter pilot, a father and most recently a divorcee. His ex-wife Emma (Carla Gugino) and their daughter Blake (Alexandra Daddario) just moved in with Emma’s new boyfriend Daniel (Ioan Gruffud) and anyway, Blake is about to move to college. But when the biggest earthquake in recent history hits the west coast, it becomes Ray’s only mission to save his family against all odds, even if said family is much less helpless than one might think. On the surface San Andreas is pretty standard fare: as the world falls apart, the heroic dad saves his family and thus wins back his ex-wife (whose new boyfriend is an idiot anyway). And I wouldn’t blame anybody if they decided to leave it at that, throw their hands up in exasperation and maybe avoid the film altogether. But personally I thought that there was a little more to the film than appeared at first. Also, the special effects were really cool. After Dom (Vin Diesel), Brian (Paul Walker) and the rest of their team/family brought the criminal Owen Shaw (Luke Evans) down, and brought him down so hard that he’s still in a coma, Shaw’s brother Deckard (Jason Statham) has sworn revenge. He starts in Tokyo, but he’s soon right in Dom’s and Brian’s lives – including their families. So Dom and Brian – who thought that they could finally settle down with Letty (Gina Rodriguez) and Mia (Jordana Brewster) respectively – find themselves less retired than expected. But Shaw is not the only trouble, there’s also Mr. Nobody (Kurt Russell) who orders them to help with a new surveillance software that could do much harm in the wrong hands – which is just where it risks ending up. 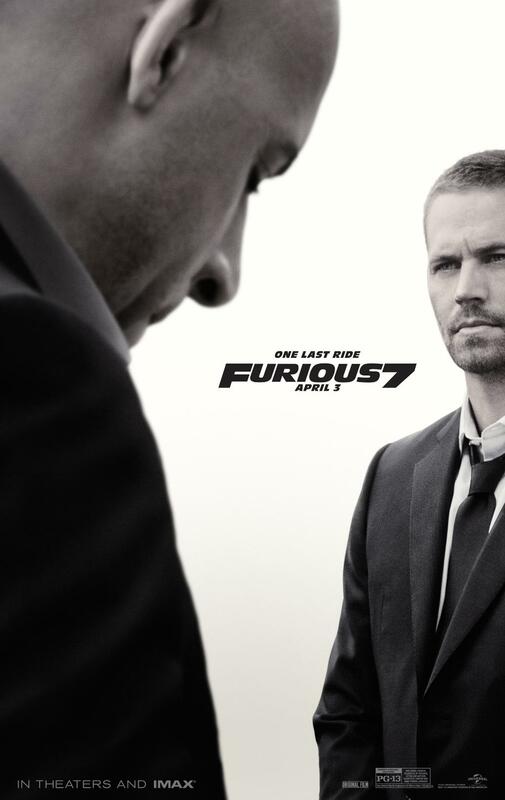 I watched all seven Fast & Furious movies in less than 24 hours (which was kinda awesome, but also kinda insane and not to be done sober*), so Furious 7 really had to be fantastic to still make me pay attention. But no worries, it did and with apparent ease. Everybody knows the legend of Hercules (Dwayne Johnson) and his heroic deeds, strategically enhanced by his nephew Iolaus (Reece Ritchie). Now that he completed his twelve tasks and after horrific past events that still haunt him, Hercules works as a sword for hire with his group – Amphiaraus (Ian McShane), Autolycus (Rufus Sewell), Tydeus (Aksel Hennie), Atalanta (Ingrid Bolsø Berdal) and Iolaus. 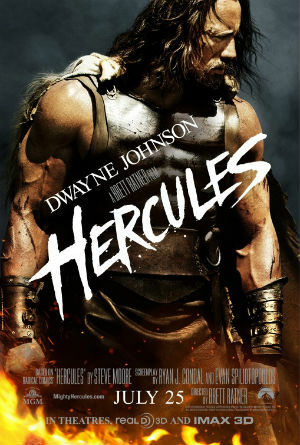 When he is approached by Ergenia (Rebecca Ferguson) for help defeating warlord Rheseus (Peter Santelmann), Hercules takes the job. But it isn’t quite as simple as it appears at first. Hercules had everything I wanted it to have: self-awareness, nice action, quipping, Dwayne Johnson in a skirt, an excellent cast and so much fun. It was utterly enjoyable. Daniel (Mark Wahlberg) believes in two things: fitness and the American Dream. But his dream awaits fulfillment while he toils away in a fitness studio. 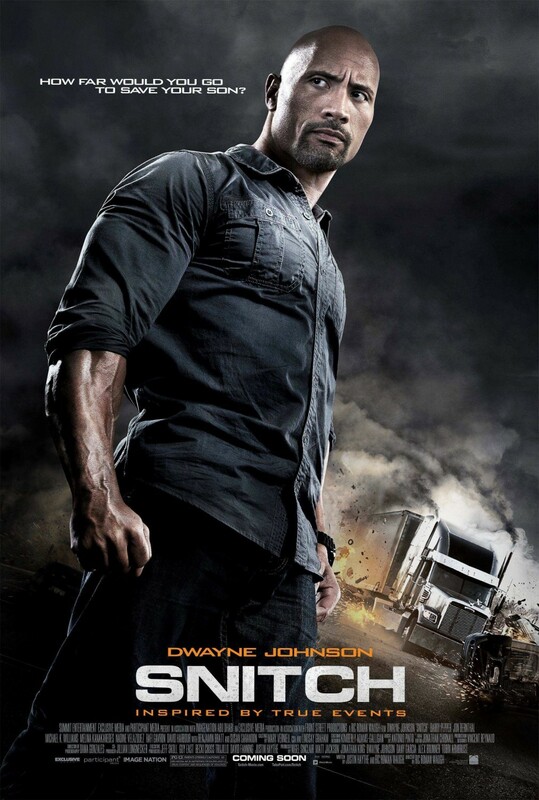 When he gets a new client – Victor (Tony Shalhoub), superrich superdouche, Daniel teams up with his best friend Adrian (Anthony Mackie) and the recently released from prison Paul (Dwayne Johnson) to kidnap Victor and take everything he owns. 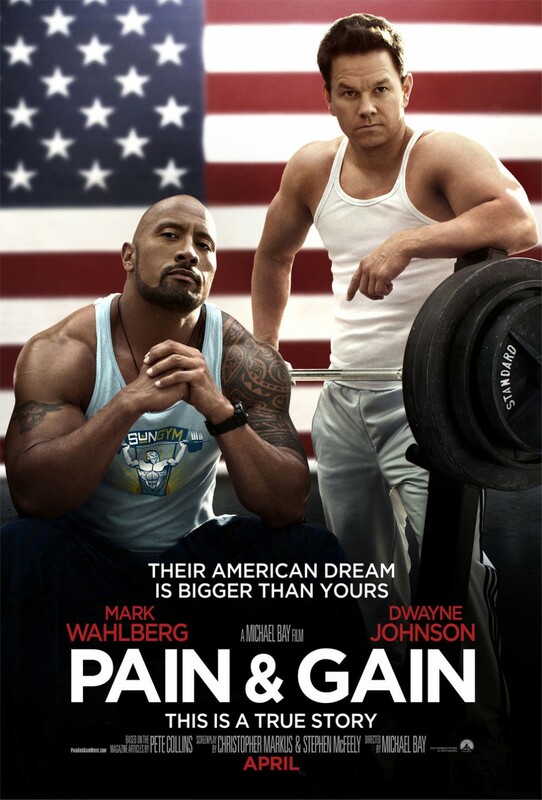 Pain & Gain was way more fun than I expected it to be. Not only were the performances by the main cast great, but the script was really entertaining and Bay hasn’t directed as well in a very, very, very long time. When Jason (Rafi Gavron) is arrested on drug charges that are not really called for, his father John (Dwayne Johnson) tries to bargain with the prosecution to get his sentence reduced. But the prosecution is quite unwilling to help. It’s only when John offers to basically go undercover for them and get some bigger fish arrested, that they agree to help. So John asks his employee and ex-con Daniel (Jon Bernthal) for an introduction into the drug world and soon finds himself a little in over his head. Snitch isn’t a great movie. But it is quite ok and surprisingly full of social criticism.